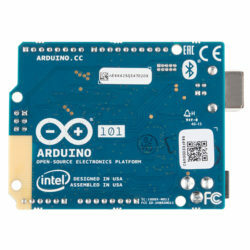 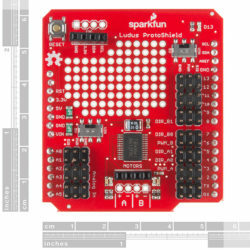 The SparkFun Ludus ProtoShield Wireless is a motor driver shield for your Arduino that is designed to make connecting motors, sensors and other components to your Arduino-based project as fast and easy as possible. 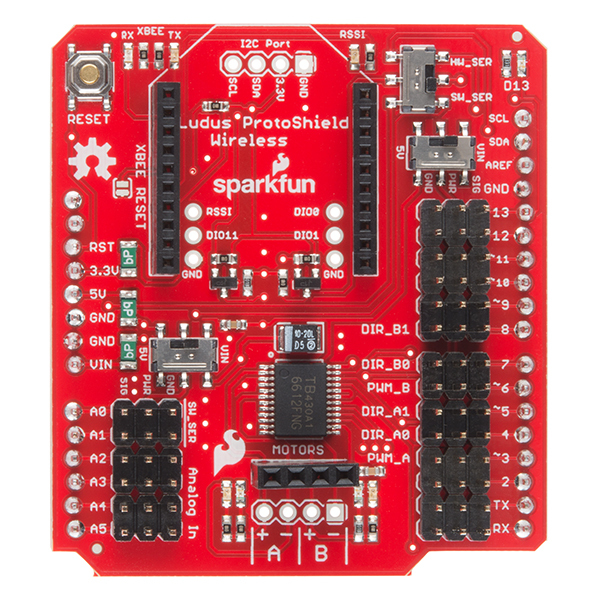 The heart of the Ludus ProtoShield Wireless is the Toshiba TB6612FNG H-Bridge Motor Driver. 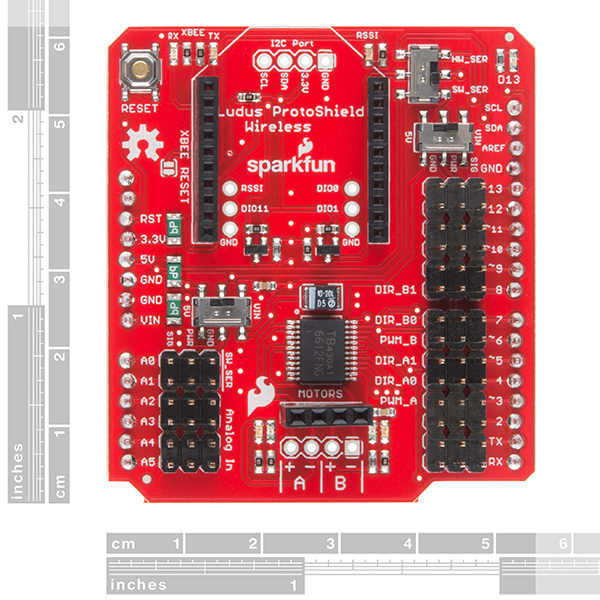 This allows the ProtoShield to control two DC motors at once, both CW and CCW, and brake electronically. 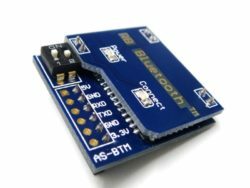 The TB6612FNG H-Bridge Driver is rated up to 1.2A per channel at 13V, which means it will drive a fair variety of hobby motors ranging in power. Each of the GPIO pins is broken out on a “servo-style” header field with PWR and GND to allow you to easily connect devices using a 3-pin servo cable. 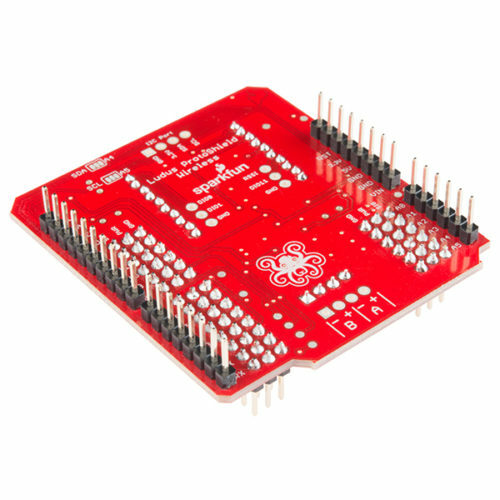 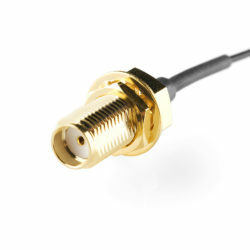 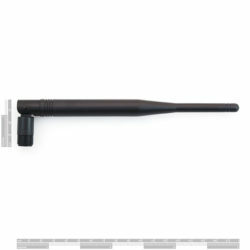 When powered using the barrel jack connector, the PWR rail can even be switched between 5V (from the Arduino’s voltage regulator) and Vin using the onboard slide switches. This feature makes the SparkFun Ludus ProtoShield ideal if you are connecting multiple servos and need more than 5V to your robotics project! This specific Ludus ProtoShield also includes an I2C pin-out and a built-in XBee socket, making the Ludus ProtoShield Wireless perfect for setting up an XBee-based remote control. 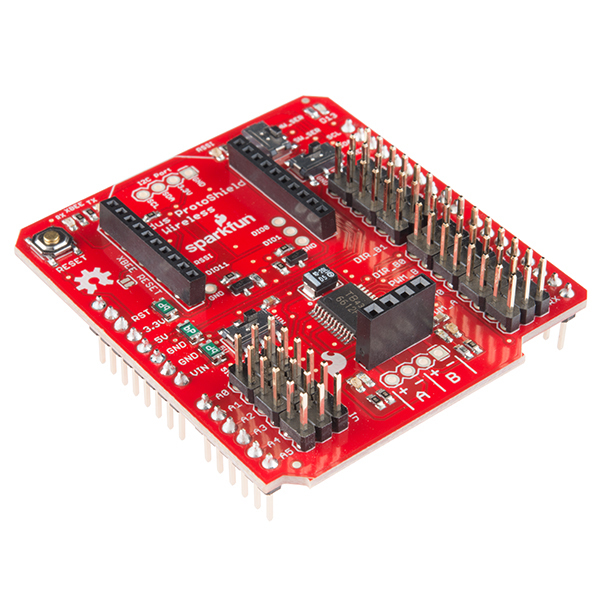 Simply plug an XBee module into the socket on the shield, and you have the control system for a simple remote control rover or small autonomous robots! 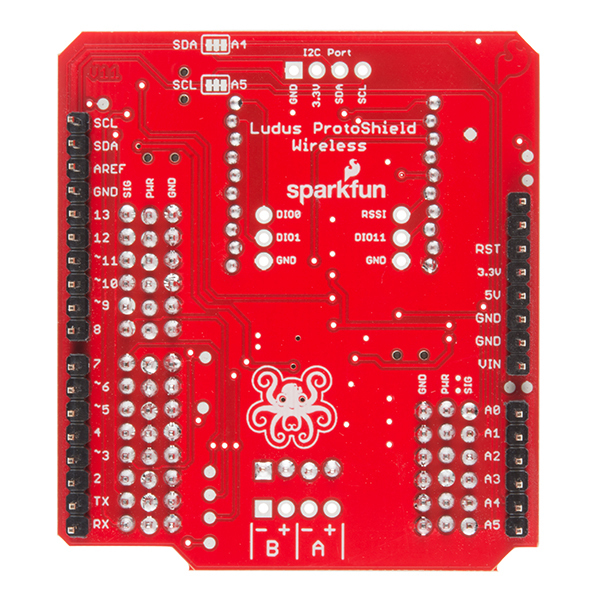 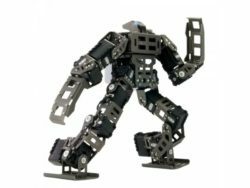 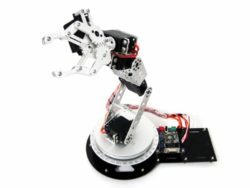 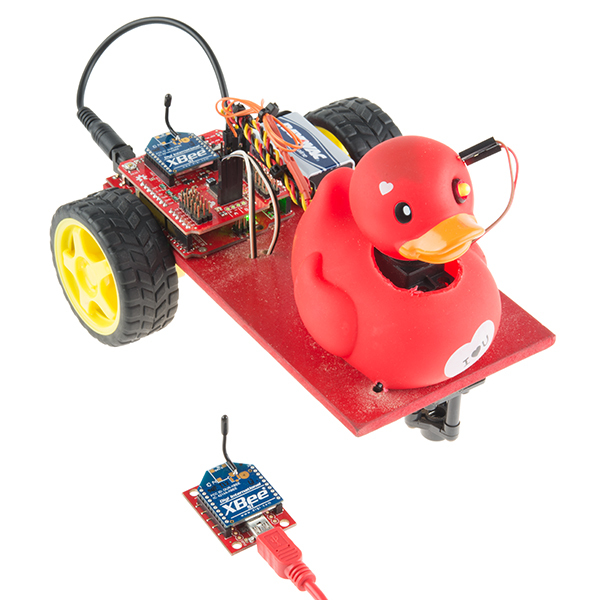 The SparkFun Ludus ProtoShield Wireless was developed by SparkFun Education to help teach any interested individual the dynamics of wireless motor control through the Arduino IDE, and it was lovingly named after our very own mascot.